HANNITY: Without getting into all the details right now, you actually make the case in this book that we live in a post-constitutional America. You have a whole chapter on that. What does that mean? 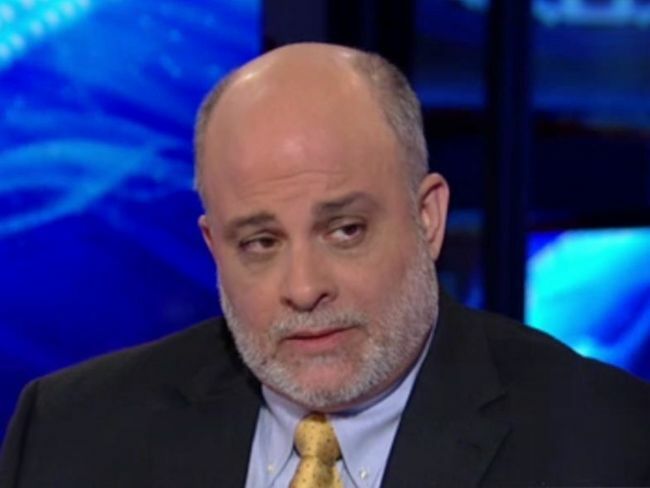 LEVIN: It means that much of what the federal government does is not authorized by the Constitution. Now, when you say that, you get political responses like, you want to do away with this and you want to do away with that? I'm not talking about that. I'm saying much of what goes on in the federal government -- although I would like to do away with most of it. Much of what goes on in the federal government has no constitutional basis whatsoever. This was part of a scheme, real scheme hatched by a number of leftists about a century ago. And you know them. Woodrow Wilson. Woodrow Wilson didn't make any bones about his contempt for the declaration and individualism and that's what this is, an attack on the individual. He made no bones about his contempt for the Constitution. Woodrow Wilson said in a speech before he became president that the government is like a body, you can't have one organ working against the other. In other words, you can't have separation of powers. So he spent his presidency, as did subsequent Democrats, trying to evade the Constitution or rewrite it. FDR, of course, did the same thing. FDR attacked the Constitution. And Cass Sunstein, who now works for Obama, he made the point that we now live under FDR's Constitution. You know what that means? A powerful centralized government, exactly what the framers of the Constitution rejected. HANNITY: You talk about the sub title, "The Unmaking of America." You end the book with this question. "So my fellow countrymen, what do you choose, Ameritopia or America?" Is America that close of a crossroads that the America that we grew up knowing, loving, cherishing, the one that talked about the individual and freedom and responsibility, is likely gone? LEVIN: Ameritopia is here. The question is how far are we going to go with this? We are not a truly constitutional republic anymore. The states have so limited power, but yet it was the other way around. We are not a representative republic really in the true sense anymore. We have this massive administrative state with, you know, hundreds of thousands if not several million bureaucrats who are making laws and issuing them every day, 80,000 pages last year. So that's not a representative republic. So what are we? We are a nation that has heavy centralized you power. It's getting more centralized by the day. Every so-called reform is said to require more government, more bureaucracy, and more taxation in pursuit of what? HANNITY: You quote Reagan, you know, the freedoms just one generation away from extinction. You quote Benjamin Franklin. Benjamin Franklin after the Constitutional Convention was wrapping up actually predicted that this experiment would end. LEVIN: For a time. He said, and I paraphrase, the American people will follow this Constitution for a time. But then -- I'm paraphrasing -- they will determine whether they want to live free or they want to live in a despotism.